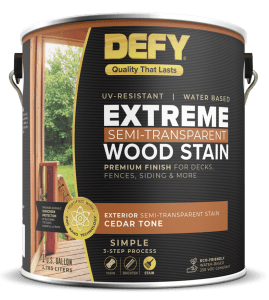 Update: What are the Best Water Based Deck Stains in 2019? We here at deckstainhelp.com hear about the best deck stains directly from thousands of consumers. Water-based deck stains have skyrocketed in popularity over the last 4 years, due in part to the crackdown on environmental regulations. Individual states are adopting lower VOC laws that cause less stress on the environment and are easier to clean up. Water-based stains tend to abide by these stricter VOC regulations, so they are a good choice if this is a priority for you. 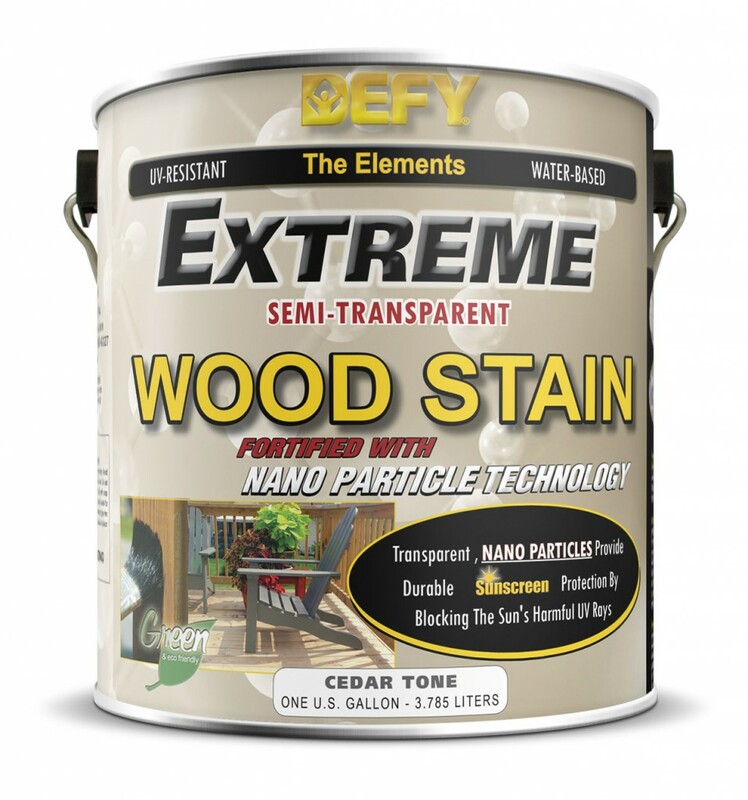 The two highest rated water-based deck stains are Restore-A-Deck and Defy Extreme. 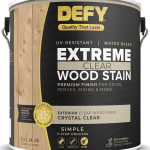 Restore-A-Deck Wood Stain is a new stain that comes in 4 different semi-transparent finishes and is designed to penetrate deep into wood pores for maximum protection and longevity. 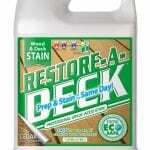 Restore-A-Deck Wood Stain protects wood from harmful UV rays and mildew growth caused by water penetration. Restore-A-Deck Wood Stain is safe to use, has a low odor, and is easy to clean up with soap and water. It is ideal for all wood types including pressure treated pine, cedar, fir, or redwood. Restore-A-Deck is the only stain we have encountered that can be applied to wet wood, allowing prep and stain to be applied on the same day. Welcome to Deckstainhelp.com, the number one source for deck staining tips and latest industry news on the internet in 2019. Water-based stains have come a long way as far as quality and longevity go in the last 10+ years. We look back at the progression in the article below. Feel free to leave a comment if you’ve seen the evolution of deck stain technology yourself. A decade ago water-based wood stains were not much of a comparison to some of the quality oil based stains. Prior to new technology, water-based stains would not perform well in some conditions. Harsh sunlight and fungal growth were two problems. But as oil-based stains started having trouble with VOC compliance laws there was a need for better eco-friendly water-based wood stains. A lot as changed in the past 10 years. So how are water-based wood stains different and better today than they were 10 years ago? Looking at the evidence a lot has changed.